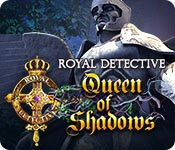 Royal Detective: Queen of Shadows is rated 3.9 out of 5 by 22. Rated 5 out of 5 by C_fischer from Absolutely Loved This Game! I played the SE trial and became immersed so I bought it and this game did not disappoint.. I'm a fan of the Royale Detective series. It had a good storyline and a little twist. Great graphics, music and not a short game. I hate it when you find a good game only to be disappointed that it ends so soon. Rated 5 out of 5 by SparkleGlow100 from An absolutely stunning game! Everything about this game blew me away! Right from the start the graphics quality, the light, the shadows, the moonlit purples, greens, the background sounds, the puzzles…It was a wonderful game to play. Find the statues that can be animated/brought to life to help you in your quest to defeat the foes you will encounter! Rated 5 out of 5 by tutortime from Great Game Series. This games doesn't disappoint. The game has an interesting story line, beautiful graphics and good mini games. My favorite feature, its nice and long. Rated 5 out of 5 by doreenmichele from Best Game All Around I can see why this game was voted one of the top games of 2014. It is perfection all the way around. Graphics are outstanding and hypnotize you. Voice overs are excellent and fit the characters perfectly. Storyline exciting!!! Must play!!!! Rated 5 out of 5 by grapeleaves from Did The CE. This gives me a chance to say a lot more. Elephant Games are the developer I wait for every day. Please do bigger ones I would love to play every day. Gamers if you don't know by now how awesome these games are. Rated 5 out of 5 by RevKellie from Excellent Round Two. The Statues Roar Lord of the Statues was my #1 favorite game last year, so I looked forward to this one. While it doesn't quite hit the heights of the first - there is a lot of good in this game. Entertaining and Fun. Pros: Beautiful Graphics, smooth and flowing movement, good story line, mini-puzzles easy to medium, new locations and forward movement (not back and forth), help Map, generous hint button. Cons: The instructions for the minigames are poorly written. I had to play several games for a while to figure out what to do. The story is a bit predictable, but still fun. Statues are more "servant" and not as interactive. Small things, no big problems. Overall, an interesting, intelligent game that makes you want to play til the end. Rated 5 out of 5 by rosekaufmann from SCARY BUT OH SO CUTE TREES SUMMARY: A lot of things to do in a slightly muddled story (which is hopefully cleared up by the end of the game). Gorgeous graphics and creative characters. Nice voice overs. Good use of animation. I'll get the SE because I think the CE just misses. If there were more collections or more morphing objects, I'd be tempted to go that way. STORY: You are a detective who wants to help Princess once again recover her mother. Princess and Mom met for a few second when Mom was suddenly whisked away by the trees. You have to get to the Tree of Wishes in the forest and only Rizallion, a powerful sorcerer, can get you there but only in return for a promise. I sometimes found the storyline a little befuddling, but not enough for it to lose its shine. GAMEPLAY: Lots to do and challenges to be met. You encounter numerous force fields which require magical weapons to penetrate. You also encounter several tree manifestations who try to impede your progress. There are plenty of the usual tasks/puzzles to solve as you move forward to find the Tree of Wishes. 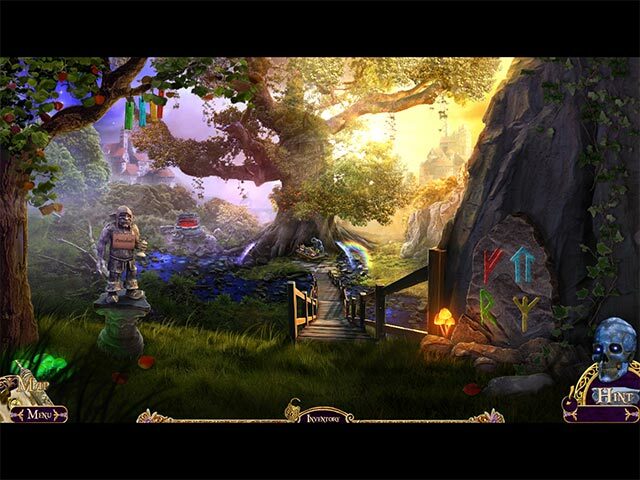 HOS and PUZZLES: Largely an adventure game, so there are not a large number of HOS. They are crowded, but detailed and list-based. Puzzles to continue on your way are plentiful. A fair number of interesting mini-games that are fun to play. OTHER STUFF: 4 volume and gamma control; 4 difficulty modes; skeleton head who is the keeper of the city is your hint system, which shows you were to go and teleports you if you choose. Animation is wonderful and the color palettes used in the artistic design are really good. Artists were very creative in building various characters composed of entire (or parts of) trees. Ex: tree log with spider legs. Very cute, though you knew they were sinister. Rated 5 out of 5 by hibc60 from another great game in the ceries have the others of these and bought this one after playing the trial. in general this is a great Ceries and this one appears to be as good as the past. Rated 5 out of 5 by pennmom36 from Witch's Blood Selena used her magic to see the future and learned that her daughter, Princess would die at birth. Her only hope was to make a deal with the King of Elves, Rizallion, in order to find the Tree of Wishes. This deal bears a heavy price, one Selena may not be able to repay, witch's blood! This is an excellent sequel to The Lord of Statues, a quest to reunite Princess with her mother and save her before Rizallion uses her blood to nourish the Tree of Life. I really enjoyed playing both versions of this game, but I'm a huge fan of morphing objects and favor the Collectors Edition because of the 18 morphing tiny dragons and 22 trading cards to collect. The CE also has achievements to earn and a built in Strategy Guide, but this game is fairly easy to figure out, especially if you use the jump map to figure out where active areas are located. You will be joined by the city's keeper, a creepy skull with a wandering eyeball, that serves as a hint icon. This game does require a lot of back and forth traveling to collect multiple items such as lost souls and will-o'-the-wisps, but you can use the map to quickly reach those destinations if desired. This game also has 4 modes of difficulty from casual to detective mode with no hints, skips or sparkles and the cursor doesn't even change over active areas! Princess hands over her magic book that she used in the first Royal Detective game which will be used to bring any finished statue to life. (yep, even Angel!) 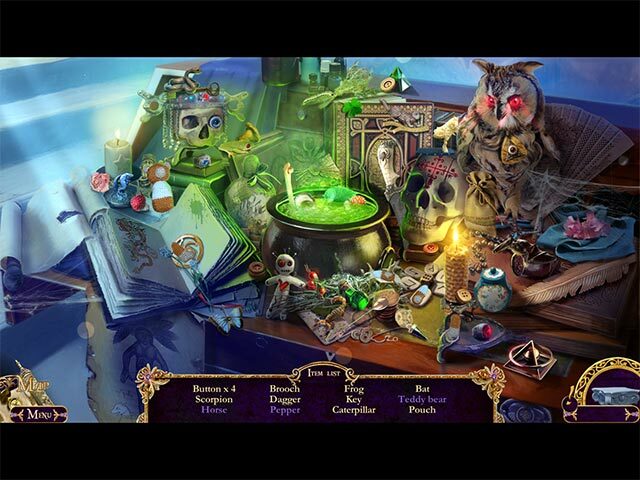 The Hidden Object Scenes are interactive list finds and they are actually done very well with items appropriate to the games genre. I will admit that I wish there had been more mini games available, and that they were a bit more challenging. The story is usually told a little at a time with each mini game such as painting pictures with a color key for reference. My favorite game was an interactive diorama of sorts where you have to lead the hero through a series of obstacles and figure out how to acquire different objects to progress such as taking grain from the windmill and delivering the grain to the beerhouse to receive a beer to bribe the lighthouse guard. This is the third time I have played this game and I still enjoy it immensely, the quality and detail of the game makes this possible. If you are a fan of morphs, or want all the bells and whistles, then choose the CE, either way I think you'll love this game too, enjoy! 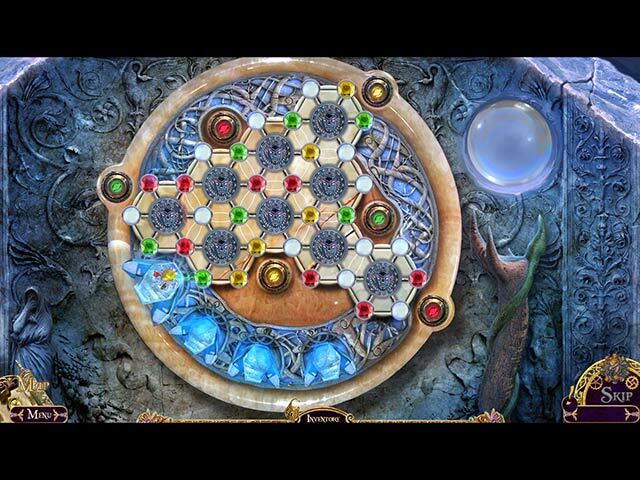 Rated 4 out of 5 by VelvetRose55 from Left over items This was your usual HOG but they did not dominate the game. I found the story line a bit confusing. Who is the villain and who is the victim? The game meandered so much that I got frustrated running back and forth doing minor tasks. It was as though the creators added tasks to keep the game going so players wouldn't feel cheated. At the end of the game I still had two items left. Either I didn't play the game correctly or those items were not needed. It ended on an odd note. I'll leave it at that.